Memoirs of an entrepreneur - M M Sehgal. I have written as he recounted his experiences. 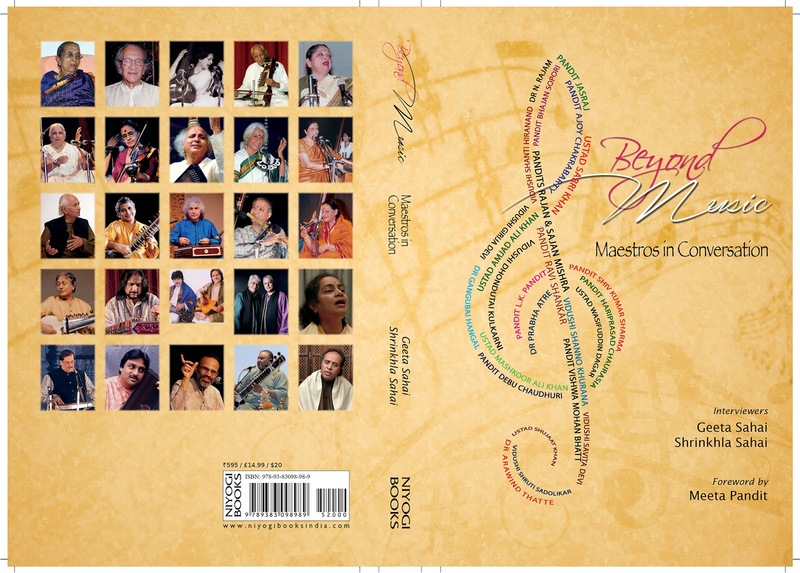 Finally, the book is out - Beyond Music - Conversation with Hindustani classical music maestros . Soon bringing these interviews on my blog. Read and give your views, friends. Now waiting for the final results. kyonki khamoshiyaan bhi bolti hain! Geeta: Your book My Name is Gauhar Jaan has got positive reviews. But what has been readers’ response, any idea? Vikram: Thank you Geetaji for giving me this opportunity to share my work with you. The response has been very heartening. It is something which I never expected because you know within two months of it launch in April by the Vice President of India, the book sold out its first edition. 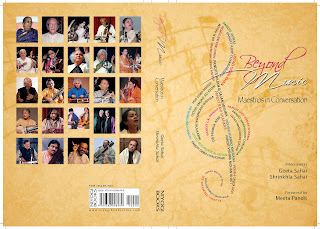 So now we are having a second edition, and we are also having translations in Bengali and Marathi. Vikram: (Smilingly) Yes, and it’s heartening to know that life of a classical musician too has a market. Geeta: The book has been launched in various cities. Is it publisher’s vision or your efforts? 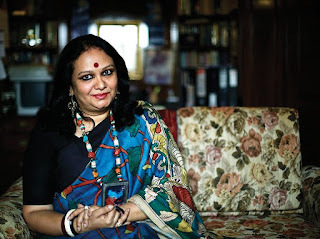 Vikram: Well, it is largely my own doing because I am very passionate about the subject and also wanted to ensure that Gauhar Jaan get a rightful place in the pantheon of Hindustani Classical music...so in almost all the cities some of the best musicians came forward and launched the book. In Bangalore, it was Pt. Jasraj, Girija Deviji in Calcuta and Shivji in Mumbai, Arti Ankalekar in Pune and so on. Geeta: But how did you manage to get such great musician for your launch? Vikram: Ah...ha! Well, I just wrote to them, requested and pleaded...many of them refused. Some didn’t...and then I think somewhere the topic, and the name struck a chord with them. Besides this, I had to finalize venue, chief guest, invites... all of that and many other things of organizing an event. I had to do it all alone. Now, more than a writer, I think, I have become an expert event manager...ha...ha...ha! Geeta: And you did all this on your own or you had an assistant? Vikram: No...Just me... sleep was the biggest casualty. Geeta: But how did you manage the finances required for the launches? Vikram: Various organizations came forward in support. 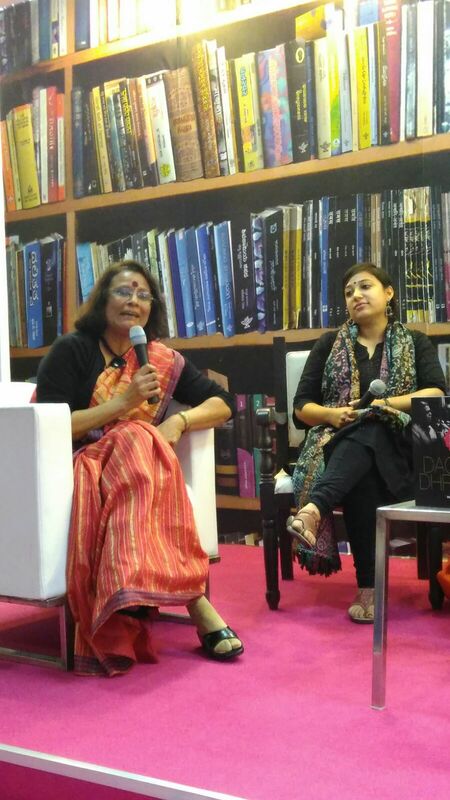 Like in Bangalore there’s International Music & Art Society which hosted it, in Calcutta, because it’s a local story, Taj Bengal was very keen to host it, in Chennai there’s Madras Book Club that came forward. So in this way it was taken care of and it helped me a lot because it brought in the efficiencies of that organization to its members, interested readers, etc. All this helped me a lot. Geeta: Well, now let’s move away from the logistics and go back on the creative aspect of it. What inspired you to write a book on Gauhar Jaan? Vikram: This and my previous book had been very serendipitous. It is only by accident that I have become an author. It started off at the age of 12 or 13 when TV serial, Sword of Tipu Sultan was being telecast. There the Maharaja and the Maharani of Mysore were shown in a poor light. There was a lot protest in my home town—Bangalore and at other places because the royal family is still held in a lot of reverence. So as a child it was more of a childish curiosity to know the truth behind the false representation. It led me on a 14 year voyage of discovery that led me to my first book Splendours of Royal Mysore-The Untold story of the Wodeyars. And this book led me to Gauhar Jaan. It was during the course of research of this book that I came across Gauhar’s name in Mysore Palace archive. Though she was from Calcutta, she spent her last years in Mysore and died there. The fact that she was the first Indian classical musician to record on the Gramophone, attracted me, and that’s where I started on my voyage on her life. Geeta: What problems did you face in researching on her? Vikram: It was a Herculean task because, as you know, documentation in the field of art and music is something that we woefully lack. Lot of information is passed on through a word of mouth, anecdotal. I made several trips to Calcutta, Darbhanga, Rampur, Banaras, Mysore, Mumbai, all places that played significant roles in her life. I met old timers, musicologists, musicians who survived, but other than that I was keen to get some original documents related to her. After all, whatever they told me was just stories, which one keeps hearing from time to time. There were two very famous court cases that she fought in her life which I tried to get from the Calcutta High Court and other places. This created a template to build her life story. In one case, she actually had to prove her parentage and during the course of that case her entire lineage gets exposed, her father, grandfather, mother and so on. So that became one important source. Then I gave importance to the memoirs of Friedrich William Gaisberg, expert who came to record her. I managed to procure his memoire from Germany. His diary jottings had very elaborate details, of how he met her; how she came dressed to the studio, and how she bargained for a higher fee. In a typical European fashion, he had catalogued everything. So this also became a very important source. Then the book of poems—Makhzan-E-Ulfat-E-Mallika by Gauhar’s mother, Badi Malka Jaan. This I procured from London—the only copy. It had 600 ghazals, penned by her and a short biographical sketch. All this along with newspaper reports of the time, obituary, cases in the court flashed in the newspapers became my research material. Geeta: What about the incidents about her giving lavish parties when her cat gave birth to kittens and many other similar incidents that you have mentioned in your book? Vikram: Well, some of it is apocryphal stories. These have been passed on from generation to generation and have been accepted as the truth. But several of them have been mentioned in Bangla literature, and they have accounts of eye witnesses, her contemporaries. One thing that comes out from Bangla literature is that she was very flamboyant and extravagant. Geeta: You have been learning classical music also. What stopped you from taking it as a career? Vikram: It would have been a dream come true...but somehow I have seen that when one takes music as a career then there are lots of other factors that start affecting music itself. Whereas with something else to fall back on, I could pursue music as I wanted and not let financial constraints dominate my passion. Geeta: Your parents are also into music or writing? Vikram: No, both are bankers and Kaansen. We are a regular feature in all the concerts. Actually. with Tamilian father, Maharashtrian mother and living in Karnataka, I naturally developed a flair for languages. It all came quite naturally to me. Vikram: Haven’t thought about it but right now I am going to Germany for three months on Fellowship to Institute for Advanced Study in Berlin, Germany, to do research on Music and History. Geeta: Thanks a lot Vikram and wishing you all the best for future projects. Vikram : Thanks. It was wonderful talking to you. I am a freelance broadcaster, documentary film maker, writer/scriptwriter and content writer. 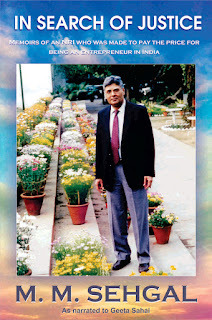 I have written short stories, translated novels and written books for children. Deeply interested in classical art forms, as Programme Director, I initiated and conceptualized Radio Gandharv- 24 hour Hindustani Classical Music Station on Worldspace Satellite Radio. Presently I am busy writing short stories and scripts for TV and films.